Vying for attention in the international arena, 23 American craft breweries, all members of the Brewers Association’s Export Development Program, won 36 awards in 22 different categories at European Beer Star, one of the most respected and recognized beer competitions in the world. The honorees were announced on Sept. 18 at drinktec in Munich, Germany. The competition is limited to 51 judging categories with consideration given to types of beer that have their origins in Europe. 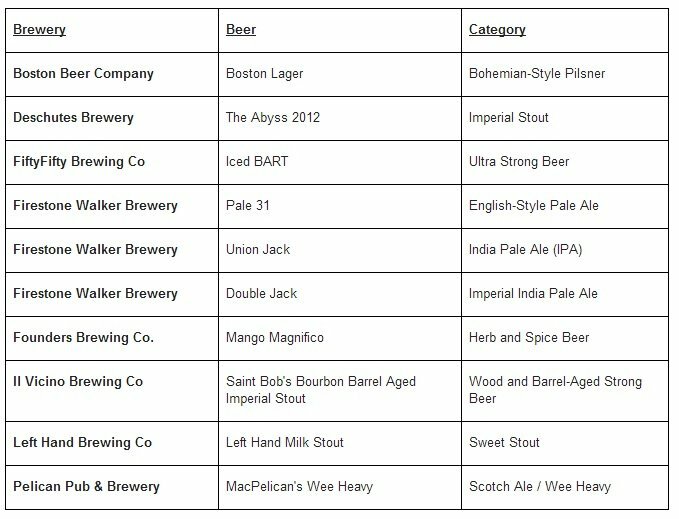 More than 1,500 beers from 40 different countries were evaluated by 102 beer and brewery expert judges. Gold, silver and bronze medals are awarded in every category and given for authentic, distinctive beers of impressive taste and quality that best fulfill the criteria of the particular style. Exports of American craft beer have maintained tremendous growth over the past several years. The Brewers Association’s Export Development Program reported record exports of American craft beer in 2012, with American craft beer export volume increasing by 72 percent with an estimated value of $49.1 million. Total American craft beer exports have increased by over 500 percent since 2007.